I am having a difficult time with the stage my toddler is in right now and am looking for some ideas and support. My son just turned 18 months old. We have practiced Attachment Parenting since the beginning with him, and overall it’s been really good for our family. However, I am struggling right now with the fact that sometimes his wants and needs conflict with mine. I want to be able to say yes most of the time, and I want to model for him that both of our needs matter. He’s too little to understand reasoning though, and he doesn’t have much patience for waiting at this stage. For instance, I would like to be able to sit down on the floor next to him and eat a meal for at least five minutes, but I almost never get to do that because he pulls on my hand and says, “Mama up,” and tries to get me to go somewhere else in the house, hold him, or both. Also, sometimes I need to cook, do laundry, or check my email (with my attention diverted from him for literally five minutes at the most) but he wants all of my attention all of the time he’s awake. Any thoughts, ideas, or comments? I feel that by saying yes most of the time, I may have created a situation where it’s nearly impossible for me to do anything that’s not on his agenda. Help! Amy: Thank you for reaching out to ask the question about balancing needs in the family. It sounds like you have really enjoyed your relationship up to this point and that you feel a bit conflicted about wanting space to meet your own needs. First, it is okay for you to want the space to sit down and eat, check your email, or whatever else you feel you need to do. As “attached” parents, it is possible to interpret the philosophy to mean putting the child first all (or most) of the time while sacrificing our needs. This is not entirely accurate or healthy. When a baby is very young, it may be beneficial to recognize that we can come to know ourselves better and stretch our ideas about what must be done while we tend to the immediate needs of the baby such as comfort, nourishment, and closeness. However, the idea that this must come as a sacrifice, rather than a chosen surrender into parenthood, can turn into resentment and neglect of the self quite easily. Creating a “yes” environment where a child feels valued, loved, and appreciated is different than saying yes all of the time. Possibly you can transition to more of a yes environment by tuning in to whether or not you really want to say yes or if you would like to say no and embrace it as more of a neutral communication than a point of contention. No is not a bad word. It’s communication. If we say no out of frustration because we could have said it earlier, with more clarity and confidence, we can take notice and then adjust for next time. Allow yourself to really check in and consider all of the needs present when a question arises. An example of this may occur if your child wants you to sit down on the floor to eat with him, but you would prefer to sit at the table or sit for ten minutes to leisurely eat your meal before getting up to meet a request. You can invite him to sit with you and focus on how you appreciate him, that you all have choices, that you have a table to eat at, that you can rest and relax during a meal if you choose to, that you can find ways to work together, and so on. Instead of focusing on the resistance he is experiencing, focus on the love you have for him. It’s a slight shift and it can make a difference while you work together to honor everyone’s needs. Allow your child to experience that his well-being is not fully dependent on you. Now, this might sound a bit tricky with a young child. It’s also a true statement. In relative terms, our children certainly do need and depend on us to take care of them. If we didn’t, the results could be very harmful! At the same time, the body takes care of itself all day long and there are other people who care for our children as well, even if they are people we don’t know. As for the body, it might be fun to start noticing yourself that his body is working magically all on its own. He breathes, his heart pumps, his digestive system extracts nutrients and eliminates waste, all while he is able to do all of the wonderful things he does as a human being. He is learning to honor his body signals by asking for drink or food when he’s thirsty or hungry, he probably senses when he needs to eliminate (regardless of where he is with learning about the toilet), and he has desires, many desires! All of this is occurring naturally, and you are there to assist him in tuning into the capabilities of his mind, body, and spirit. This takes some of the pressure off of you. It helps balance out the idea that we must meet all of our child’s needs and that we are the source of their well-being. We can certainly harm their well-being, and we are also only a part of the big picture of how their needs get met. Some are met internally through body systems, some are met through our nurturing care, some are met through other people who care about their well-being, and some are met in ways we don’t even yet fully comprehend. Children ask for connection in ways they are familiar with. If your child is used to you putting him first, it will be a transition to balance out the needs. This is okay. Consider looking at it as an adventure in transforming something that doesn’t work into something that does. He wants to connect so he asks you to hold him, do this, and do that. There are endless ways to connect, many more than just doing what someone asks us to do. Some ways that may assist in the transition include inviting him to stand on a stool near you, allowing him to participate alongside you in ways that work for you (maybe washing fruits or veggies, rearranging a drawer of stuff, or coloring on paper), and encouraging him to watch or get involved when he’s ready if you’re doing something he doesn’t want to take part in. Vary the ways you connect and experiment with feeling connected even when you’re not engaged in an activity together. An exercise that may help is something I call the whole body camera. When you notice yourself appreciating your child, really soak up those moments, even if you’re across the room preparing food or whatever. Use all of your senses to experience the appreciation and love you have for your child as you store the memory for later. Then when times get tough, recall that love. Notice how it feels in your body and communicate from that space inside yourself. See how this influences the connection between you and your child. Acacia: Wonderful you, mama, for acknowledging his desires and needs and holding that they are just as important as yours. This respect is part of a vital foundation for respect later in your relationship. At 18 months, your son is entering into a very independent stage and one that is challenging for many reasons, including the ways you have indicated. He now has very particular ideas in mind on how to spend his time and how to spend yours as well! A lot of this is taking place alongside and because of language development and mastery. He is coming into the awareness of himself as being separate from you and at this point is still very much used to doing everything with you. It will take time to establish this through its stages, namely, now that he can play away from you while you eat, cook, clean, and so on. You are wise to acknowledge that he is too young to reason and understand. Saying “yes” is important, but not always possible. However, saying “no” isn’t the only alternative. Try saying, “not now” or “after I . . .” and inviting him to participate in your daily activities. Just as you indicated in your desire to model, being hands-on is very important in young children. They learn not through our words, but through our repeated actions. If, for example, you need to put away the dishes from the dishwasher and your son wants to look at books, invite him to do so on the kitchen floor by bringing a few books there and then beginning your work. If he fusses or pulls at you, invite him to assist you by handing you silverware or dishes. He may be very eager to help and jump right in. He may be interested for a few minutes and then turn to his books or fuss again. Gently remind him that you are doing the dishes and he can either help or play. Humming or singing while you work often helps children become engaged in what is happening and can “melt away resistance”, as Rahima Baldwin Dancy says in You Are Your Child’s First Teacher. Try setting up a daily rhythm in which you have a small amount of time to play or engage with your son along with plenty of time to accomplish your work in a way that allows time for him to help. Find what works naturally for you and your family while meeting everyone’s needs. Includes a contraction and expansion of activities throughout the day: work, rest, work, quiet time, and so on. Implement it and do it over and over again. The rhythm may change slightly as you work things out but try not to switch back and forth too much in a short amount of time because it is the repetition that is most important. Keep talking short and sweet, and fill your days with singing or let his stuffed animals do the talking instead. He will find security in the rhythm and find enjoyment and love in your inclusion of him and the music. Overall, this rhythm should most naturally address both of your needs and model for him the things you desire. You can read a lot of golden advice about home life with young children and rhythms by searching through the back articles of The Parenting Passageway or reading R.H. Dancy’s book that I mentioned above. 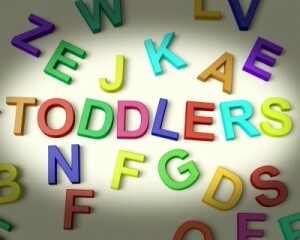 Mandy: Toddlers are at such a fun age as they make leaps and bounds in their understanding of the world and themselves. If we view their needs and wants as being in opposition to our needs and wants, it’s easy to become frustrated with our children. However, even young children are able to begin working with us in a consensual manner. Setting up the groundwork for respectful treatment of others now will pay off in the long run. When we can’t give our children exactly what they want right at that moment, we can acknowledge the need and feelings behind the request. If our child wants us to play with him, we can recognize that he has a need to engage us and spend time with us. These are signs of healthy development. We can acknowledge that we understand the desire to spend time with us. Perhaps we involve her in what we are working on by giving simple, child-friendly tasks related to what we are doing. Sometimes we acknowledge the request and give him a time when he can expect our attention, such as stating that we can go look at the birds after finishing eating. At that age, sometimes our children just need to be close to us. It’s a big world for such a small person. Babywearing can be such a beneficial way to meet that need for closeness while allowing parents to get some work done. While I love ring slings for out and about, various back carriers are wonderful for getting work done with a little one. Regardless of the age of your child, treating your child with respect and working together to meet everyone’s needs is always beneficial. It’s never too early to explain to our children why we do something. 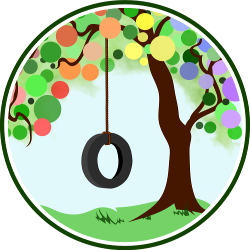 Calling for Submissions for the July Carnival of Natural Parenting!